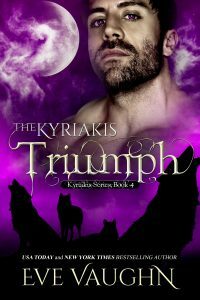 A foolish mistake cost Alpha Paris Kyriakis the love of his life. For years he believed she was lost to him forever until a magical turn of events led him to her doorstep. The problem? She didn’t remember him. For most of her life, Anisa Nkrumah was told what to do, whom to associate with and how to act. When a mysterious stranger storms into her life, he reminds her of what they once meant to each other. But now she wants to be free to do as she pleases and if that means forsaking an old love then so be it. Paris is willing to go to hell and back to win Anisa’s heart, but first, he must take down the dark force that threatens to destroy them both.